Whether it's a sister, a significant other, a friend, or even your boss, we all have people in our lives who leave us stumped when it comes to buying holiday gifts. Our solution this year? A subscription! Not only is it literally a gift that keeps on giving, but it also feels much more personal than just a gift card to their favorite place—don't you think? Plus, from fashion to food to coffee to skincare—whatever they're into, there's definitely a subscription gift they'll love. (If nothing else, we have a feeling you might like some of the below for yourself, too.) So for our favorite subscription gifts this season, simply continue on. 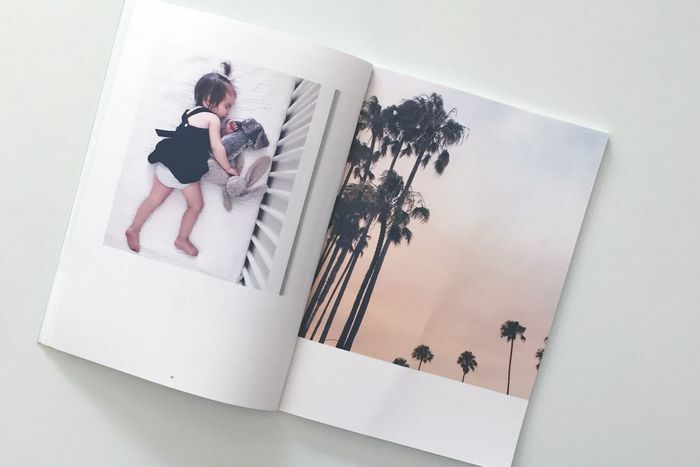 Recently turns your camera roll photos into a monthly magazine—tell me that's not cool. Candle enthusiasts will love a monthly delivery of artisanal candles from Flicker Box. Whether they're a wine connoisseur or not, Winc helps you find (and try) different wine bottles you'll love. Birchbox, the original beauty subscription box, lets you sample five items a month. Four times a year, FabFitFun sends out a box with eight to 10 products (from beauty to accessories) valued at over $200. Art lovers will freak over Papirmass's art subscription. Who wouldn't love a monthly or even weekly flower delivery? For the jewelry buff, Switch allows you to borrow designer pieces monthly, with an option to buy. With beans delivered every other week, coffee enthusiasts can get their Blue Bottle fix no matter where they live. Take someone's Net-a-Porter shopping experience to the next level for just $30 a year. There's no easier way for aspiring at-home chefs to get started than through Blue Apron's meal recipe deliveries. Perfect for the fashion-obsessed girl, Rent the Runway's membership service allows you to rent and swap items from hundreds of brands monthly so you always have something new to wear. Become the mixologist you always wanted to be with Saloonbox's weekly cocktail kit deliveries. Rachel Zoe's subscription box is a must-have for fashion girls. Upgrade your (or someone else's) interiors with these monthly, Japanese homeware-filled boxes. Up next? The best jewelry gifts under $100. This post was published at an earlier date and has been recently updated by Nicole Akhtarzad.